BUTUAN CITY, Jan. 14 (PIA) – In line with this year’s Women’s Month celebration, the Regional Development Council - Gender and Development Coordinating Committee (RDC-GADCC) Caraga has lined-up several activities for the month-long celebration. During its first quarter meeting held on Wednesday at the Department of Public Works and Highways (DPWH) Caraga Training Center, the full committee have agreed to kick-off the said celebration on March 3, 2015 (Tuesday) through a fun walk activity from this city’s Guingona Park going to the Capitol Covered Court, where the opening program and performances of live bands will be witnessed by the participating agencies and partner stakeholders. “Unlike with the usual fun walk which we conduct early in the morning, this time we will do it in the afternoon so many people can join us and hear our call to end violence against women and their children. After that, we hoped to have fun during our opening program and we will be joined by the members of the Men Oppose to Violence Everywhere (MOVE) from government agencies and private entities, who will also serenade the women with roses and chocolates. Live bands from different agencies are also invited to perform. It will be a fun night for us,” expressed Edna Hontiveros, GADCC co-chair. games, and other leisure activities. It was learned that the RDC-GADCC will be awarding the Outstanding Women Entrepreneurs, as well as women personnel of the Philippine National Police (PNP) in the region. Another activity is the Women’s Summit which will be hosted by the Department of Trade and Industry (DTI). Schedule and venue will still be finalized. On March 27, 2015, the culminating activity will be held through the premier showing of the winning videos of the five finalists for the ‘Salida’ (Film) Festival, and the student-artists will be recognized during the said activity. PROESPERIDAD, Agusan del Sur, Jan. 14 (PIA) - The Agusan del Sur Provincial Disaster Risk Reduction Council (PDRRMC) Action Center has recorded 137, 315 persons or 33,329 families who were affected by Tropical Storm “Seniang” leaving eight persons dead mostly due to landslide and drowning. Seven, all from Prosperidad that died due to landslide were Pepe Ares, 50 years old, male from Barangay San Martin; Martin Tana, male; Tata Tan-ugan, male; Lolong Dagyom, male; and one a.k.a. “Ilonggo.” Also from Prosperidad was an unidentified male person and another from San Francisco named CJ Florentino, 15, died by drowning. According to reports collated by the PDRRMC as of January 12, the municipality of Esperanza was the most affected municipality with 6,696 families but no persons count, followed by La Paz with 6.657 families or 30,083 persons and ranking third is Prosperidad with 5,737 families or 27,595 persons. Bayugan City has 3,109 families affected or 33,616 persons. Displaced families who evacuated in evacuation centers like schools, health centers, barangay halls, chapels/ churches, gymnasiums, multi-purpose buildings and other government buildings reached to 11,425 or 55,085 persons. There are houses from 14 barangays in Sibagat town that were damaged, with a total cost of 2,630,000. One house in Bayugan 3, Rosario and another one in San Luis were damaged costing 30,000 each, according to the same report. From December 28, 2014 to January 5, 2015, 12 municipalities in Agusan del Sur have declared under State of Calamity while relief goods distributed by the MDRRMCs to their affected constituents with some relief goods coming from the DSWD Caraga Regional Office now reached P3,051,681, excluding those whose money value were not yet declared. The Office of the Vice President has also donated 2,300 food packs containing sardines, noodles, biscuits and sugar. Most of the family packs served contain rice, noodles, coffee corned beef/ sardines and sugar. BUTUAN CITY, Jan. 14 (PIA) – The Department of Education (DepEd) has scheduled January 31, 2015 (Saturday) as the date for the early registration in all public and secondary schools nationwide. The early registration aims to gather information to base its preparations to address potential gaps that may arise even before and during the regular enrolment. Also, the activity will help school heads better prepare classrooms, seats and learning materials, if they will know in advance the number of students for the school year. BUTUAN CITY, Jan. 14 (PIA) – The Department of Education (DepEd) has set February 1, 2015, Sunday as the schedule of Alternative Learning System (ALS) Accreditation and Equivalency (A&E) Test 2014 for the six regions in Mindanao – Regions 9, 10, 11, 12, Caraga and ARMM. In Caraga region, the test will be conducted in the 13 different testing centers. According to Caraga ALS Focal Person Leoniza T. Lavapiez, there are 13 testing centers in the different divisions of the region. “Each division will have one testing center except for Surigao del Sur division which will have two separate testing centers,” said Lavapiez. Caraga region has 12 divisions namely: Butuan City; Cabadbaran City; Agusan del Norte; Bayugan City; Agusan del Sur; Surigao City; Siargao island; Surigao del Norte; Bislig City; Tandag City; Surigao del Sur; and Dinagat Islands. Regional Supervisors will also be deployed during the testing day to monitor the successful conduct of the A&E Test. Also, lead monitors from Manila will be coming to the region to make sure that the conduct of A&E Test is implemented according to what is planned and expected, Lavapiez added. The ALS A&E registration, administration and certification is free of charge. 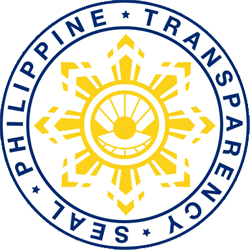 SURIGAO DEL NORTE, Jan 14 (PIA) – The provincial government here recently turned over water tank, piglets and speech laboratory in Siargao Island, this province. Governor Sol Matugas led the turn-over of one set water tank to the Bureau of Jail Management and Penology (BJMP) Dapa Field Office. While, a total of 20 piglets were also turned over to different island municipalities under the Animal Dispersal Program of the Provincial Veterinary Office. Out of 20 piglets, three piglets were turned over to Barangay Caridad in Pilar, three piglets to Barangay Sayak in Del Carmen, four to Barangay Daku in General Luna, four to Brgy. del Carmen in San Isidro, and six piglets to Barangay Osmeña in Dapa. On the same day, Matugas also led the turn over and blessing of the Speech Laboratory worth P1 million to General Luna National High School in Gen Luna town. BUTUAN CITY, Enero 14 (PIA) – Human giaprobahan sa hunta-probinsyal sa pagpanguna ni bise gobernador Ramon A.G. Bungabong ang budget sa tuig 2015 nga mikabat sa dul-an P800M lakip na niini ang pundo nga P139,569,000.00 kun dul-an sa P140 milyon para sa 20% Development Fund nga nagagikan sa 20% sa IRA kon Internal Revenue Allotment sa probinsya. Sa giluwatang mensahe ni gobernador Ma. Angelica Rosedell M. Amante-Matba mahitungod sa 2015 nga budget, kon balikan ang kanhing balita sa Agnor Bulletin nga sinulat ni Jay Vincent V. Demain, Vol. 14 No. 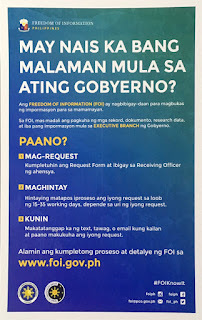 49 nga isyu, matod sa gobernador nga giseguro niya nga ang maong budget subay sa panglantaw sa probinsya nga adunay transparensiya sa paggamit sa pundo pinaagi sa tiunay nga panerbisyo (performance-based) ug balance nga alokasyon sa mga katigayonan niini. Gipasalig sa gobernador nga ang nasangpit nga budget tulay sa padayong pagkab-ot sa usa ka mauswagong probinsya.